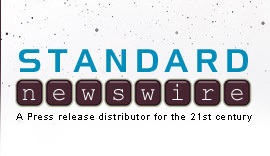 ST. PAUL, Minn., July 11, 2018 /Standard Newswire/ -- Third-party control. Surveillance. Data collection. Privacy invasions. A new, groundbreaking book from Citizens' Council for Health Freedom (CCHF) exposes how the mandated, government-certified EHR technology (CEHRT) has negatively affected both doctors and patients. 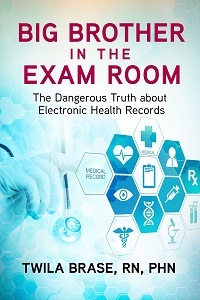 Written by CCHF president and co-founder Twila Brase, RN, PHN, and released today from Beaver's Pond Press, "Big Brother in the Exam Room: The Dangerous Truth About Electronic Health Records" shows how and why Congress forced doctors to install a data-collecting surveillance system in the exam room. It also includes the impact of EHRs on privacy, patient care, costs, patient safety and more, according to doctors and more than 125 studies. "Surveillance is and has always been a tool of control," Brase says. "That's why America's Founding Fathers put privacy protections in the U.S. Constitution as part of the Bill of Rights. However, the emergence of new surveillance-enabled technologies today—such as computers, smartphones, digital driver's licenses and biometric scans—creates new tracking and analytic powers. Unless Americans remain watchful and engaged, their freedom can be taken away, one law and one technology at a time." Health care's "Big Brother" makes itself known through the national medical-records system, national patient ID initiatives, big data profiteering, consent and coercion, government intrusion, research at the bedside, Affordable Care Act experiments, the population health agenda, and tracking Americans in sickness and health. Greg Scandlen, founder of Consumers for Health Care Choices, wrote the foreword for "Big Brother in the Exam Room." "While almost all the public discussion about health care in the past few years has centered on the regulations, subsidies and mandates of Obamacare, very little attention has been given to the foundation for the whole enterprise—the national mandate on physicians, hospitals, and other health care providers to adopt federally dictated health information systems," Scandlen writes. "In 'Big Brother in the Exam Room,' Twila Brase corrects that error and digs deeply into the history and consequences of this requirement. What she finds should alarm anyone concerned about patient safety and privacy."